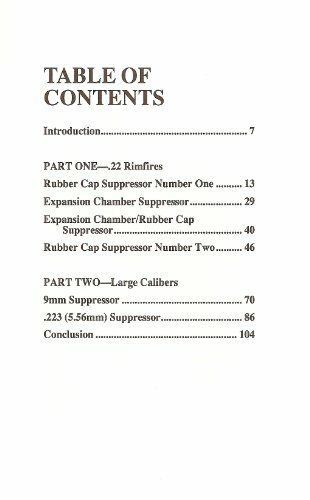 This book is written for people who have more than a passing interest in silencers, as well as those who just want something cheap and easy to build. 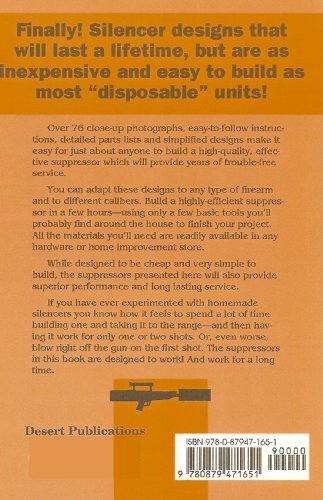 While most of the suppressors in this book are designed to be cheap and very simple to build, they are also intended to provide a good degree of service and long lasting performance. 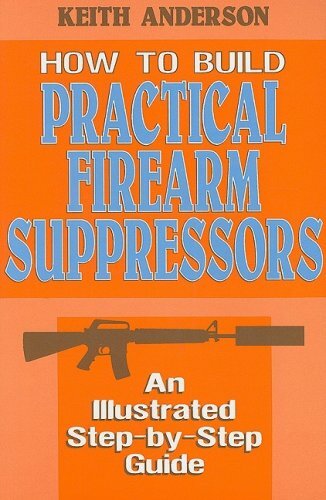 The legal applications of silencers are numerous. Varmint hunters not wishing to scare the rest of the game away can find them valuable. Survivalist and paramilitary groups have numerous uses for them, as do collectors and enthusiasts who simply enjoy silent shooting. 5-1/2" x 8-1/2" , 105 pages, soft cover, illus.